It’s Urll Fest in #Breckenridge! You just can’t make this stuff up. 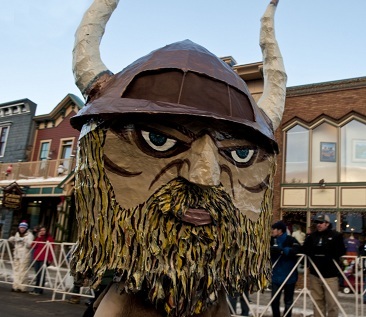 But apparently the Norwegians did, because Ullr (pronounced Oool-er) was the winter god in Norse mythology. And Ullr had a genealogy – no identity crisis for him. He was the son of Sif and the stepson of Thor, the “God of Thunder.” And when asked what his hobbies were for the Norse dating site “Jeg Elsker Deg” , he replied that he loved the cold, and traveling around the country on his skis or skates. Now that’s a tough date to keep up with, but his adventurous spirit, love of the outdoors and great snow embody what people love about Breckenridge. Great outdoor adventures, breathtaking scenery, and lots of outdoor fun! As a matter of fact, there is no such thing as boredom in Breckenridge – it is actually a no boredom zone, simply not allowed here. Do note there is a significant difference between boredom and absolute relaxation… Absolute relaxation occurs constantly here, where skiers and boarders come off the mountain to the home away from home of their dreams and completely surrender to the salt water hot tubs and pools, sauna, and steam room, only coming out to enjoy exceptional apres skiing food and drink in one of the myriad culinary adventures known as local Breckenridge restaurants. There is simply nowhere else to have a second home meshing the luxury of a five-star resort with all of the comforts of home. 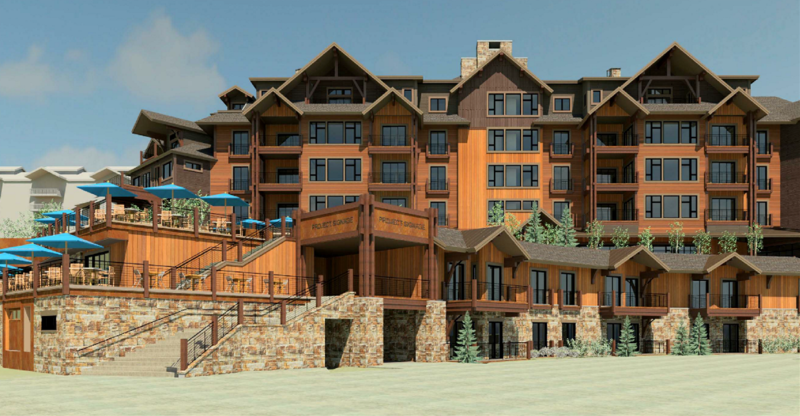 There is a very limited time fractional real estate ownership opportunity open NOW at the Grand Colorado on Peak 8 in Breckenridge. There are only 75 units sitting at the base of Peak 8 with unparalleled views, ski in, ski out access, and situated right in the heart of everything. It really is an exceptional opportunity to own a great home away from home at a fraction of the cost and none of the hassle of whole home ownership. If you have been sitting on the fence, reading, researching, thinking about it, NOW is the time, as there is a limited amount of inventory at this exceptional and exclusive ski in, ski out luxury property. Would you like some information mailed to you about this fabulous opportunity? This entry was posted on January 12, 2015 by elevatemarketingaz. It was filed under Breckenridge Colorado Luxury Condo Sales, Breckenridge, Colorado Real Estate, Fractional Ownership Real Estate Breckenridge CO, Fractional Ownership Real Estate Summit County Colorado, Fractional Ownership Real Estate Summit County, Co, Fractional Real Estate Breckenridge Colorado, Luxury Fractional Real Estate Breckenridge CO, Luxury Fractional Real Estate Breckenridge Colorado, Luxury Fractional Real Estate Summit County, Co, Ski In, Ski Out Luxury Condo Breckenridge Co, Ski In, Ski Out Luxury Condo Breckenridge Colorado, Ski In, Ski Out Luxury Condo Summit County, Co, Ski In, Ski Out Luxury Condo Summit County, Colorado, Summit County Colorado Luxury Condo Sales, Summit County Real Estate, Summit County, Co Luxury Condo Sales, Uncategorized and was tagged with Breckenridge Colorado, Breckenridge Colorado accomodations, Breckenridge Colorado condos, Breckenridge Colorado skiing, Breckenridge luxury condo sales, Brent Henry Breckenridge real estate broker, Grand Colorado on Peak Eight, ski_in_ski_out Breckenridge condo, Summit County Real Estate.